After planning your season and setting up your A race the next step is to create a training plan. This should include knowing the course and knowing your strengths and weaknesses. For instance, cyclists should know if the course is hilly or flat, does it typically end in a sprint or do breakaways succeed? Similarly, triathletes would want to know if they will face a major climb or rolling hills. Once you’ve determined the demands of the course, you should reference that with your current fitness abilities for what will be required during your race. If your race ends in a bunch sprint, how strong is your sprint? 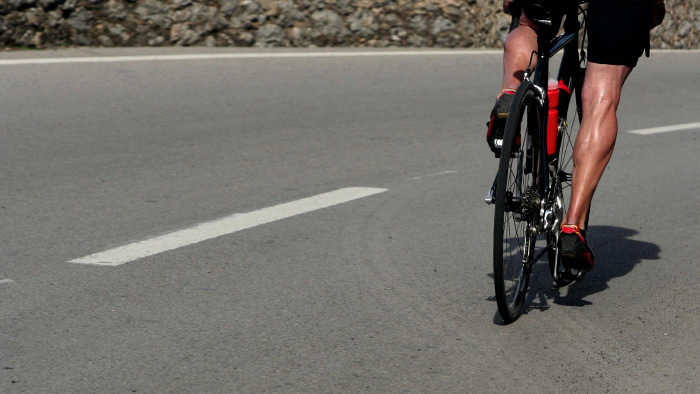 If you need to put out tempo wattage for four hours, how strong is your aerobic fitness? Building your capabilities around the needs of your race is the basis of race specificity. After collecting training and racing data or completing a power profile test you can determine your strengths and weaknesses. Without formal testing data, racing data can be the best way to create a power profile chart. Racing data is often times better because it is more relative than formal test data. So be sure to race with your power meter! Once you set your baseline numbers up you can track your improvements and progression. What demands do you need to be good at for your goal event? Do you need to be focusing on your 5 second, 1 minute, 5 minute, or threshold power? This will help you or your coach set up your training plan by focusing on maximizing your strengths and addressing your weaknesses. While it is a good idea to work on weaknesses it is also important to keep up what you are good at. Set goals around your strengths and then use your strengths to reach those goals. Here are a few workouts that may help you improve your race specific 5 second, 1 minute, 5 minute and 20 minute power outputs. All efforts are done at an all out effort for the time period stated. 3 sets of 4 x 15 seconds on, 15 seconds off. Rest for 5 minutes between sets. 2 sets of 5 x 1 minute on, 1 minute off. Rest for 5 minutes between sets. 2 sets of 3 x 3 minutes on, 3 minutes off. Rest for 6 minutes between sets. 3 x 10 minutes. Rest for 5 minutes between. While you can simply look to see if your numbers are going up, you can also track your improvements with the Power Profile Chart. In TrainingPeaks you can have it show any range of dates such as your current season and then have it display peak power to weight for any giving smaller period as in weekly or monthly peaks. This Power Profile Chart is over the first half of a season and each bar represents peak power to weight ratios in a 4 week period. The first thing we can view from this chart is that this athletes 5 minute and 20 minute power is their strength, while they don’t have a great 5 second or 1 minute power. This rider will find it hard, if not nearly impossible, to win a short track race or a race that ends in a sprint. Their goal race should be road races, particularly one with the demands of 5 – 20 minute efforts or climbs. Or they should know that to win a race they need to be in a breakaway or try to go solo. This Power Profile Chart also makes it easy to see improvements over the season. Throughout the first half of the season this rider gets stronger in all areas. Even though this riders 5 minute and 20 minute power are his strengths his 5 second and 1 minute power also improve throughout the year. A good training plan will incorporate all physiological aspects even though the focus maybe in one particular area. You can watch your progression on the Power Profile Chart throughout the year to keep track of your improvements. To be fully prepared for your A race of the season you should spend some time first determining the demands of your event, then tailor your efforts to those demands. When you know those demands and how they relate to your strengths and weaknesses in nueromuscular power, anaerobic power, Vo2 max, and Functional Threshold Power you or your coach can set up a training plan that focuses on maximizing your strengths and addresses your weaknesses by using workouts that help improve each.